I am really fascinated by wine and history. It may be thousands of years back or just some decades, it does not matter. History gives perspectives. Histories bring the wine to life. History is histories about wine and the characters of wine. 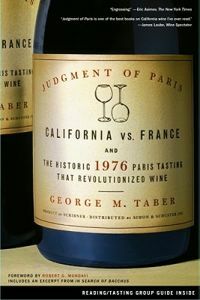 On top of the pile of wine books right now is George Taber's "Judgment of Paris; California vs. France and the Historic 1976 Paris Tasting that Revolutionized Wine". It is the second time I read the book and it is just as interesting now as it was the first time, perhaps even more. So much information and historical details, so many small stories within the history. So captivating. It is hard to stop reading. Taber was the only journalist present at the historical blind tasting in Paris, where the Californian wines beat the French. This is his story about the tasting, but also the story about the people behind the wines. Taber puts The Paris Judgment in an historical perspective by letting us follow him on a time journey before and after the tasting. The part of the book I appreciate mostly, is the one telling the background of the Californian winning wines. 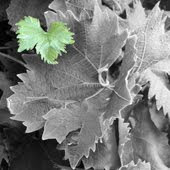 It is the stories about the different winemakers and the winery owners. But it is also the story about the pioneering spirit of Napa Valley, about helping hands between wineries and about the desire to experiment, renew and improve the winemaking methods. "What is good for Napa and California, that is also good for my wine and my success." That was the attitude during a time when people not regarded the Californian wines very highly, not even in the US, and when consumers were led to the French shelves in the wine stores. The 24 of May in 1976, a beautiful sunny day in Paris, history was written. California brings home the victory for the white Chardonnay wines, as well as for the red ones made of Cabernet Sauvignon. The tasting confirmed what few knew, something that almost had been a secret reserved for the most knowledegable. The fact that California could make great wines. That knowledge was from this date spread over the world. This day also became a milestone in the development of the New World. If California can, we can. That was the conclusion. And France was shaken. Those who embraced the result, travelled to California to experience and learn from their winemakers. Quite recently I had the opportunity to taste the winning white wine from Chateau Montelena. Then it was the 1973 vintage. Now 2009. It was a winner today, just as it was back in 1976. Elegant, austere, fresh fruitiness with notes of lemon. On the palate almost fullbodied, a lovely buttery character with fruit, exotic notes and lemon. Very well balanced and concentrated. Lingering in the mouth for a very long time. Delightful, lovely, wonderfully tasty. In 1973 it was Jim Barrett who, together with his winemaker Mike Grgich (now Grgich Hills Estate) were the men behind the winning wine. 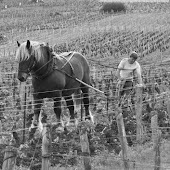 Today it is Jim's son Bo Barrett who is main responsible for the winemaking. 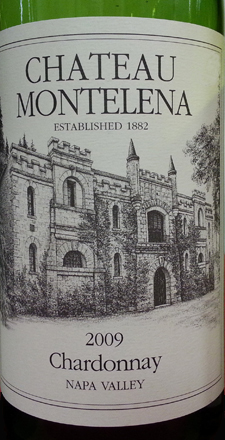 If you get the chance to taste a Montelena; take it, enjoy it and feel the history of wine. Addition March 2013: The news has reached us that Jim Barrett died on March 14, aged 86. Chateau Montelena will remain in ownership of the Barrett family, now with Bo Barrett as CEO.